This year the Auspicious period starts from (Wednesday)July 20, 2016 and will continue till (Thursday) August 18, 2016 in North India. This year the Auspicious period starts from (Wednesday) August 03, 2016 and will continue till (Thursday) September 01, 2016 in South India. * In North Indian states Purnimant calendar is followed where as in South Indian states Amavasyant calendar is followed. * There is 15 days difference in starting time of Sawan month depending on the followed lunar calendar in the both the regions. * In Purnimant calendar, Sawan month starts fifteen days before Amavasyant calendar. * Hence half of dates differ in both calendars. That is why in North Indian states Sawan month starts fifteen days before South Indian states . * The month of Shravan, popularly known as Sawan, is the fifth month of the Hindu calender beginning from Chaitra, and is the most auspicious month of the Chaturmas. On Purnima or fullmoon day, or during the course of the month the star 'Shravan' rules the sky, hence the month is called Shravan. * Shravan Mahina, or Sawan Month or Shravan Maas (July – August) is one of the holiest months in a traditional Hindu calendar. Each region in India considers this month as holy and numerous vrats and rituals are performed during the period. * Shravan Mahina, or Sawan Month or Shravan Maas, is dedicated to Lord Shiva in North India. * Each Monday of this month, known as Shravan Somvar, is a special day in Shiva temples where the dharanatra hangs over the linga or the idol to bathe it with holy water, day and night. * Devotees pile the linga high with Bel leaves and flowers and fast till sunset. * It is considered highly auspicious to wear a rudraksha in Shravan month. * All, Mondays or Somvars of Shravan month are specially observed with austerity. All Mondays are devoted to the worship of Shiva as this day is sacred to Lord Shiva. No other Mondays of other months are so greatly honored. * The belief is that in Shravan month, offering milk to Lord Shiva earns a lot of punya. The legend says that when the churning of oceans - Samudra Manthan - took place in the month of Shravan, fourteen different types of rubies came out. Thirteen of these were distributed amongst the demons, except Halahal (poison). Lord Shiva drank the Halahal and stored it in his throat. 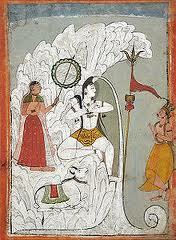 Hence the name Neelkantha (meaning blue throat) is attributed to Shiva. To reduce the strong effect of poison, Lord Shiva wore the crescent moon on his head. All the Gods, thereafter started offering the Ganges water to cool Lord Shiva and to alleviate the ill effects of the poison. Since, this happened in the month of Shravana, since then the Shiva devotees offer the Ganges water in this month. * Shravan Month is the fifth month in a traditional Hindu lunar calendar followed in North India. This calendar is followed mainly in Uttar Pradesh, Himachal Pradesh, Madhya Pradesh, Uttarakhand, Rajasthan, Haryana, Bihar and Chhattisgarh and other North Indian states. * Shravan is the 10th month in a traditional Gujarati calendar and numerous Vrat and rituals are observed in the month. * A month in these regions is calculated from the day after Purnima or full moon to the next Purnima. * Shravan Mahina, or Sawan Maas, in the Hindi calendar is dedicated to Lord Shiva. * Shravan Mahina is also the first month of Chatur Mas – the four holiest months in Hindu Hindi Calendar. 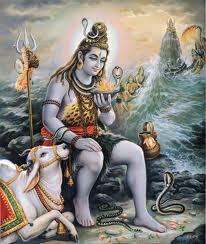 * Special prayers and rituals are performed in Lord Shiva temples and in sacred places associated with Shiva. * Kanwarias travel to the origin of Ganga River to collect holy water, or Gangajal, to bath the Shivling at their homes or in villages. * Somvar or Mondays in the month is considered highly auspicious for the worship of Lord Shiva. * The Mondays or Somwar in Shravan month is dedicated to worship of Shiva. People make it a point to visit Shiva temples on Sawan Mondays. * At many places of India, Kavads are served, in Sawan month. From the first day of Shravn masa itself, huge crowd of devotees gather at Hari ki Pauri of Haridwar. Before sunrise, worshipers reach different Ghats of Ganga. They collect Jal and start marching towards their destinations. (Wednesday) July 20, 2016 and ends on (Thursday) August 18, 2016. (Wednesday) August 03, 2016 and ends on (Thursday) September 01, 2016. * (Monday) July 25, 2016. * (Monday) August 01, 2016. * (Monday) August 08, 2016. * (Monday) August 15, 2016. * (Monday) August 22, 2016. * (Monday) August 29, 2016. There is fifteen days difference in starting time of Shravan month in North India and South India. In Purnimant calendar (usually followed by North Indian states), Shravan month starts fifteen days before Amavasyant calendar (usually followed by South Indian states ). In Andhra Pradesh, Goa, Maharashtra, Gujarat, Karnataka and Tamil Nadu, Amavasyant Lunar Calendar is followed while in North Indian states Rajasthan, Uttar Pradesh, Madhya Pradesh, Punjab, Himachal Pradesh and Bihar Purnimant Calendar is followed. Hence half of the Sawan Somwar dates differ in both calendars and Shravan month in Northern states starts fifteen days before Southern states. (Saturday) July 23, 2016 . ** The Chandrodaya or Moonrise time as per North Indian calendars is 9:42 PM. (Wednesday) July 20, 2016 to (Tuesday) August 02, 2016. (Wednesday) August 03, 2016 to (Thursday) August 18, 2016. * Kamika Ekadasi – (Saturday) July 30, 2016. * Pavitra Ekadasi – (Sunday) August 14, 2016. * Pradosh – (Sunday) July 31, 2016. ** Amavasya is on (Tuesday) August 02, 2016. * The Amavasi begins on (Monday) August 01, 2016 and ends on (Tuesday) August 02, 2016. * Purnima is on (Thursday) August 18, 2016. * The Purnima begins on (Wednesday) August 17, 2016 and ends on (Thursday) August 18, 2016. ** Hariyali Amavasya – (Friday) ----- August 02, 2016. ** Hariyali Teej --------- (Monday) --- August 02, 2016. ** Kalki Jayanti --------(Wednesday)-- August 05, 2016. ** Nag Panchami ------ (Thursday) August 07, 2016. ** Tulsi Das Jayanti -- (Saturday) --- August 10, 2016. ** Raksha Bandan ---- (Saturday) –- August 18, 2016. ** Mangala Gouri Puja is observed on Tuesdays in Shravan Month. ** Saturdays in Shravan month is dedicated to the worship of Lord Shani. ** Fridays, Shravani Shukravar, in the month is chosen for observing special pujas for the welfare of children and there are also community puja. ** Veerpasli is a vrat observed on the first Sunday of Shravan and is continued for next eight days for the welfare of male members in the family. All days in the Shravan month are considered auspicious and on each day there is a particular observance by a particular Hindu community. 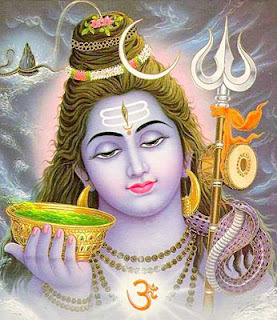 * The main Shravan Pooja is the worship of Shivling with Gangajal, Bilva leaves or pure water. * Some people observe fast on Mondays. * Many people observe different vows during the month like having only vegetarian food or reading a particular Holy Scripture on all days of the month. Shiva temples across North India have special poojas in this month. * Deoghar Baidhyanath Dham and Kashi Vishwanath Temple is visited by millions of Hindus in the month of Sawan. * Millions of devotees visit the Baba Baidyanath Dham in Deoghar and offer Ganga water collected from Sultanganj as Abhishek on the Shivling at the Deoghar Temple. This is the period of the Shravani mela at the temple. 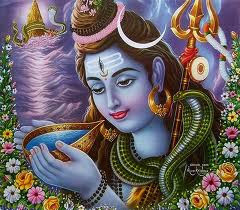 One of the name of Lord shiva is soma - saha uma i.e." with Parwati (Uma)". For the Lord someshvara Who wears the soma, the moon crescent on the matted hair, on the somavara day (Monday), this festival is observed. Though all Mondays can be observed as vrat there are special mondays when it is much more emphasised to observe like the shravan Somvar and karthikai somavar. According to skandha purana, on the Mondays of the month kArthikai (mid Nov to mid Dec) this vrata is observed. * Take bath in the morning. * Pray to the Auspicious and Graceful Lord Shiva. * Anointing the Lord with panchamritam and other pleasant substances. * Hail the Lord offering bilva leaves. * During the day don't take any solid food. U can take Milk/ buttermilk/ fruit juice/ fruits . * After 6'o clock in the evening pray to Lord Shiva and break your fast and eat normal solid food (avoid onions and garlic) . * Your fasting should start from 12 a.m. in the Sunday midnight and end in the evening on Monday. * It is believed that one who fasts on all Monday of Shravan has all prayers from the heart answered. * It is not necessary to undergo rigid practices. * Even for this fast, different people may have different practises....e.g. some people may not have buttermilk or some may have specific mantras to be chanted. * You can follow whatever gives you a peace of mind. Once there lived a wealthy merchant in a city. He always had immense wealth and prosperity. But despite all the worldly possessions, he remained sad because he had no son. He regularly observed Monday fast to have a son. He used to go to the Shiva temple and worshipped there Lord Shiva and Goddess Parvati with full faith. Goddess Parvati was pleased at his devotion. She implored Lord Shiva and said, " My Lord, this wealthy merchant is your faithful devotee. He regularly observes Monday fast but still he has no son. Please fulfil his desire". Hearing the implorings of Parvati, Lord Shiva said, " Let your desire be fulfilled. I grant him a boon. He will be the father of a son, but". " Why but my Lord?" asked Parvati. Lord Shiva said, "but he will live for twelve years only". Fortunately, this wealthy merchant could hear their conversation. As time passed on, the merchants wife gave birth to a beautiful son. He celebrated his sons birth with great pomp and show and distributed food, clothes and money among the poor. All prayed for his sons long and happy life. But the merchant was still sad because he knew that his son would not live beyond twelve years. Yama, the god of Death, spares none. Knowing what the situation was, the merchant started observing the Monday fast with greater zest and there was no let up in the worship of Lord Shiva. He practised all the rites of worship. At the age of eleven, the merchants son looked quite smart and mature. All desired that he should be married to a beautiful girl. The merchants wife also wanted her sons marriage. She Insisted for it again and again. The merchant did not agree to this proposal. He sent for his brother-In-law and said, "Accompany my son to Kashiji. Arrange for his best spiritual knowledge. Take enough money from my treasure. Arrange devotional gatherings on your way to Kashiji at every halt and distribute alms among the beggars". The merchants son started his journey for Kashi with his maternal uncle. They arranged devotional gatherings and distributed clothes at every halting camp. They also arranged best eats for the Brahmans and made enough offerings to them. One day they made a halt at a capital of a king. The king's daughter's marriage was to take place that day. The marriage party had already reached the city. The bridegrooms party was terribly disturbed because the bridegroom was blind, of one eye. They were in search of a beautiful boy to replace him. The bridegroom's father sent his men in search of a beautiful boy. The men spotted the merchant's son who was camping in an inn with his maternal uncle. The bridegroom's father was a rich person. He said to the merchants maternal uncle, " My prestige is at stake. I need a handsome bridegroom in place of my one-eyed son. I shall give enough wealth if your ward agrees to have a temporary marriage with the king's daughter. He shall be free immediately after the marriage ceremony is over". The merchants brother-in-law convinced his sister's son for a temporary marriage. The bride's party praised their luck when they saw a handsome bridegroom with the marching band at the head of the marriage procession. The merchant's son and the king's daughter were married around the holy fire. At the time of departure, the merchant's son picked his bride's scarf and wrote," Now we are husband and wife. I am not the son of a king. I am the son of a rich merchant. I was on way to Kashiji for spiritual studies. Your real bridegroom is blind of one eye ". The bride noticed her bridegroom writing something on the scarf. She could not read his message at that time. When the marriage party was about to depart, the bride read the message. She was shocked to know the reality. She refused to accompany with the one-eyed bridegroom. The marriage party returned without a bride. The merchant's son reached Kashiji and devoted himself fully to the spiritual studies. His maternal uncle arranged devotional gatherings and gave donations everyday for the well-being of his sister's son. On the last day of the twelfth year, the merchant's son felt pain in the chest. His maternal uncle was performing the religious rites as per his routine. As he went inside the room, he found the boy dead. He was full of grief, but kept silent as the Brahmans would not accept food from such a house. With courage, he completed his routine. When his routine was over, he started crying. Many people gathered around him and shared his grief. Fortunately, Lord Shiva and Parvati were also passing by that house. When Parvati heard the cries and beating of breast, her motherly compassion got aroused. She was a mother, after all. Having known the facts, she said to Lord Shiva," My dear Sire, please ask Yama to return his life. Yama is always at your command. Please do this favour to me. You are the protector of all creatures ". Lord Shiva agreed and sprinkled Ganga water on the dead body. The boy got up as if he was making an excuse for sleep. The spiritual education of the merchants son was over. They started their journey homeward. They arranged spiritual discourses and distributed aims among the needy throughout their way. Now, they were back in the city where this boy was married. The king recognised the boy immediately. He took him to his palace with full honour and on an auspicious day, he arranged to happy departure for his daughter. He also gave adequate dowry. The merchant's son reached his city alongwith his bride. His father could not believe it. He was sitting on the roof of a big mansion with his wife, waiting for his son. They had decided that they would not come down until their son supported them himself; otherwise they would commit suicide by jumping down the roof. So the merchant's son alongwith his bride went up to the roof. They touched their feet. The merchant and his wife were very happy to see the couple. • Wear Rudraksh, and also use a Rudraksh mala for Japa. • Offer Lord Shiva Bhibhuti and place some on your forehead. • Make offerings of Bel leaves, Panchamrut (milk, yoghurt, clarified butter, honey and jaggery) on Shiva Ling. • Recite Shiv Chalisa and Aarti. • Chant Maha Mrityunjaya Mantra. • Fasting on Mondays. Girls who fast on all Mondays of Shravan get a good husband. ** Shravan, the fifth month in a traditional Marathi Hindu Calendar, is a highly auspicious month. (Saturday) Aug 15, 2015 and ends on (Sunday) Sep 13, 2015. ** From the first day of Sawan Mahina, people observe various Vratas and rituals including abstaining from non-vegetarian food and restricted fasting. ** Mondays in the month is dedicated to the worship of Lord Shiva. ** Tuesdays for performing Mangala Gouri Puja. ** Shravani Shukrawar, or Fridays in Sawan Month, is highly auspicious. Pujas and prayers are held in all homes. Special prayers are performed for the welfare of children. Neighbours, friends and relatives join in the prayers on the day. Puran lamps are prepared for placing on puja thali. Special Puran dishes are also prepared on the day. Traditional red kumkum tika is applied on the forehead of the children. * Narali Purnima are also observed in the month. ** People avoid non-vegetarian food in the month and abstain from drinking alcohol. There are also many devout Hindus who only take a single meal during Shravan month. Some are of the view that restriction in diet is to avoid diseases during the period as Sawan falls during the peak monsoon season. ** Mother Nature also plays and important role in the festivals and rituals in the month. After the long harsh summer, Shravan month comes with the monsoon rains and farmers pray for an incident free rainy season and a good harvest. * In 2016, Shravan Month in Gujarat begins on August 15 and ends on September 13. * In Gujarat, Shravan is the month of Vrats and the Vrat cycle for many Hindu communities commences in Shravan. There are people who only take a single meal during the Shravan month. Strict vegetarian diet is followed by many. Some people read a particular holy scripture during the month. * Mondays in Shravan month is dedicated to Lord Shiva and devout Hindus perform the Shravan Somvar Vrat and continue it on all Mondays in Sawan. Some people observe it for years on the Shravan month. Usually, Shravan somwar Vrat is observed to get a good husband or for the welfare and long life of husbands and for a peaceful and happy life. Some couples also observe the fasting for saving their sons and daughters from serious diseases. * On Saturdays in Shravan month fast is observed to escape from the bad influence of Lord Shani. * On the first Sunday of Shravan Veerpasli is a vrat observed and is continued for next eight days for the welfare of male members in the family. * On the ninth day of Shravan Noli Nom is observed by childless couples. * On the third day of waxing and waning phase of moon Phool Kajali and Chokha Kajali are observed. This is for getting a good life partner and for a happy married life. * Gai Vrat which is observed during the entire Shravan month is also to get a good husband. 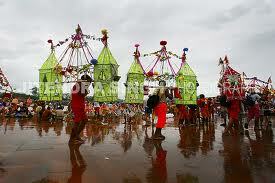 * On the 12th day of Sawan Bhe Bharas is another ritual observed and is observed near a water body. * Bol Choth is another important ritual observed by all the family members and it is for the welfare of cattle. People cook outside on the day. * Other rituals that are observed in the month include Nag Pancham, Shitala Satam, and Randhan Chat. * The most important festival in the month is the Sri Krishna Janmashtami. At many places of India, Kavads are served, in Sawan month. From the first day of Shravn masa itself, huge crowd of devotees gather at Hari ki Pauri of Haridwar. Before sunrise, worshipers reach different Ghats of Ganga. They collect Jal and start marching towards their destinations. 2: Who is Fragrant (Spiritual Essence) and Who Nourishes all beings. 4: ... and thus Liberate us from the Fear of Death, by making us realize that we are never separated from our Immortal Nature. 3) Always Dwelling inside the Lotus of the Heart. 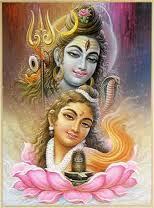 4) I Bow to Shiva and Shakti Together. real good thank you for sharing . thanks for so much info! This is a great find!!! Thanks! Kya shiv Ji ko haldi nh arpit ki jaati..??? Turmeric powder is an important part of all Hindu rituals and is used in almost all pujas. It is also used as a beauty product because of its medicinal qualities. A shivling has two parts, one is associated with Lord Shiva while the Gauripatta or Jaladhari is a representation of Goddess Parvati. The part of shivling associated with Lord Shiva represents masculinity and turmeric is considered a cosmetic product for females. Hence, haldi is never offered to the 'lingam', it is neither sprinkled nor poured on the Shivling. . But, Shivling's Gauripatta or Jaladhari is associated with females hence one can put turmeric on the jaladhari. Mai aab South Mi hoon kya mai North India dates follow kar sakti hoon? Religiously gochar will be perfect and favourable for puja there at that time . And practically all the essential things (samagri , flowers, fruits etc.) would be easily available to you during that period. You will enjoy the festive atmosphere in temples and everywhere. And feelings and shraddha matter the most. This is my very 1st Mangal Goweri fast (resently I married) and nobody in my family follow this fast . At the moment I am in hostel please suggest me simplest way to follow Mangal goweri fast. you can visit my post -Mangala Gauri Puja - 2015. I updated it and I tried my best to provide all the information including aarti. Mai ab South India mi hoon kya mai north India dates follow karsakti hoon? Hi! Jab aap south india mein hai toh behtar hai ki aap south ke hisaab se hi chale. Kyon ki aap ke aas pados mein log mein log jab kuch tyohar manate hsin toh aap kuch aur. Aap south ke calendar ke hisaab se kar sakhti hain. Issmein koyi burahi nhi hai. Har har mahadev! Namaste ! Can someone please tell me shubh grah pravesh mahurat in this month (August 2015) - day and time as per US eastern timings ? Thank You So Much I Found Good Article About Hanuman Jayanti 2016 Go There and Check it. Hi mates, its enormous post regarding educationand completely explained, keep it up all the time. Qual número minimo para saque e também quanto tempo morosidade. Hello there! I could have sworn I've visited this blog before but after going through many of the articles I realized it's new to me. Anyhow, I'm certainly delighted I found it and I'll be bookmarking it and checking back often! Cool blog! Is your theme сustom made оr did yoᥙ downloaɗ it from somewhere? How do you rate my efforts?